Creating the perfect wedding day is no mean feat, especially when everyone from Great Aunt Sue to next door’s dog starts weighing in with their opinions. Before long, what began as an intimate event descends into a people-pleasing exercise with the wishes of the bride and groom falling to the bottom of the list. 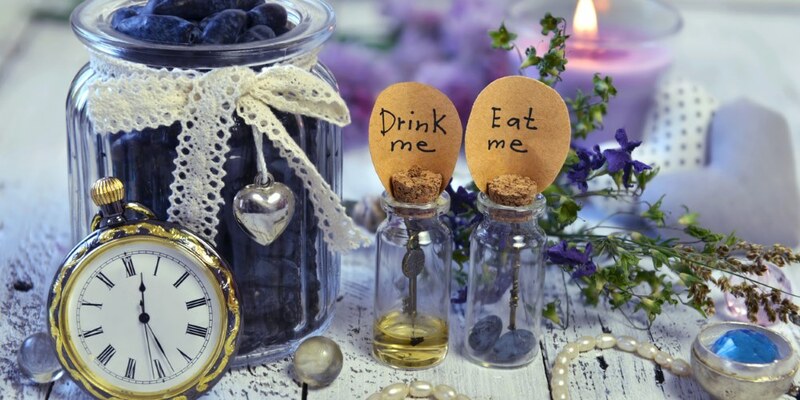 This is one of the reasons why many couples decide to give their wedding day a theme, personalising it to ensure that it reflects their own characters, tastes and interests. While planning a themed wedding—whether it’s a simple boho style or a full-on Star Wars theme—can be great fun, it can often be difficult to know where to start. 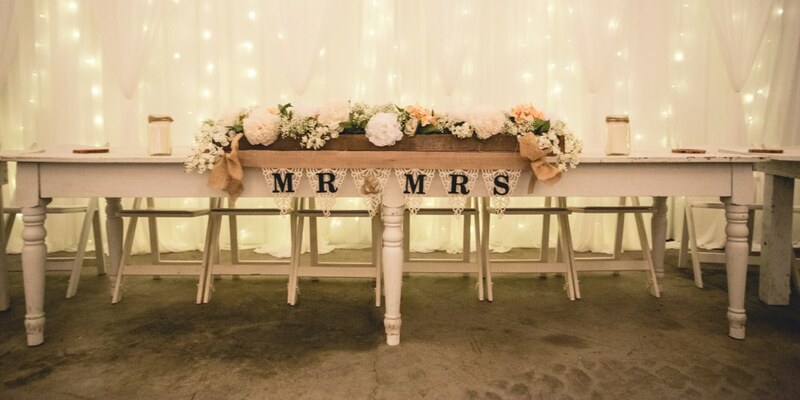 With this in mind, we spoke to wedding and events planners, Julie Girgenti from Exceptional Events, Ellen Davies from LND Events and Nicola Smith from You Said Yes to ask their advice on how to plan the perfect themed wedding. What’s the most unusual wedding theme you’ve ever been involved with? Julie: I recently designed a wedding that would take place in the Amazon Jungle of Brazil. The couple were real adrenaline junkies and it was on their bucket list to get married in the Amazon. So, working with an espionage-experience company based out of the US, I put together a wedding concept that involved the couple and their closest friends experiencing different activities and challenges every day, culminating in a gorgeous, relaxing treat at the end of the day. On the wedding day itself, the couple were lifted out of their bed and literally dropped by helicopter into the middle of the jungle, where they faced a series of extreme challenges on the way to finding their wedding site. Once there, they found a beautiful spot with two separate glamping tents ready and waiting to pamper and spruce them up for the ceremony. They then walked down an aisle surrounded not only by their friends and the flora and fauna of the Amazon but by performers and acrobats dressed like animals and birds, hanging from the trees and walking on stilts. Following the ceremony, the group feasted on a beautiful meal, designed by a Michelin-star chef under the stars and a canopy of warm glowing lights and flowers. The next day, their guests were transported home and the couple were flown on to Costa Rica for a gorgeous and luxurious honeymoon, just the two of them. Ellen: Nothing overly unusual but one of the most interesting ones was around Halloween last year where the couple decorated lots of pumpkins and had a rock-‘n’-roll meets gothic-style affair. Have you found that the theme had to be compromised in any way because of the venue? Julie: The theme always dictates how I use and decorate the space. I always begin with a concept design and theme for every event. Once my client approves it, I find the perfect venue to suit that concept. Often, I’ll offer a few different options that I think will work, but if I know in my heart that one in particular is the way to go, I’ll let my client know that’s the one and why. I try never to let the theme or the concept be compromised by the venue. It’s the concept, not the venue, that my client fell in love with from the start, after all. On occasion, it has happened where a grade-listed venue or private home that seems perfect in every other way won’t allow us to do everything that was in the initial concept proposal. In which case it becomes a case of figuring out a good alternative solution. In those instances, the venue dictates how we proceed. But more often, I’ll recreate the space, bringing in whatever I need in order to have the concept design fully realised. Ellen: I attract a certain type of couple so I wouldn’t ordinarily work a hotel-style wedding. Most of my couples are very good at making the style sympathetic to the venue style that they’ve chosen and I certainly do that if they ask me to come up with concepts and style. Nicola: No, not at all—you can transform any venue into anything the client wants with the help of the venue and great stylists. Any theme can be accommodated. What elements do you find make or break a themed wedding? Julie: To me, having a “theme” isn’t just about decorating the space in a particular colour scheme or using a few props that nod to the designate theme. To me, having a theme is about creating an immersive and memorable experience based around that concept. So, for example, if I’m giving someone a James Bond-themed wedding party, I’m absolutely going to include a few high-speed chases and death-defying activities for the couple in the lead up to the wedding… maybe even on the day! 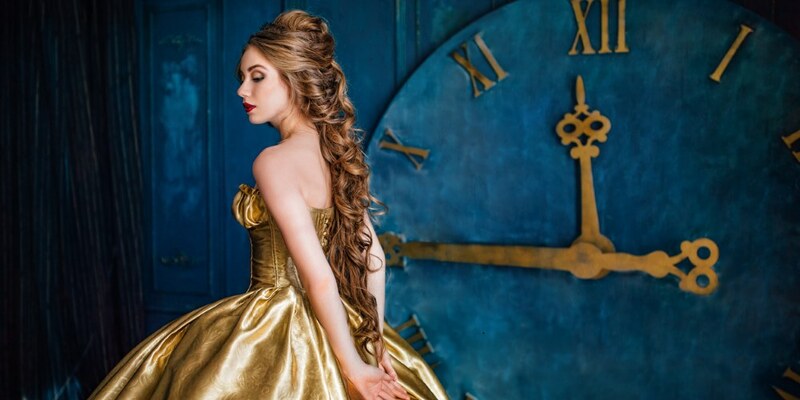 Should the theme be based in a particular time period, I’d arrange for every guest to have period costumes made especially for them and offer dance and etiquette classes ahead of the wedding that would be appropriate to the time period. On the wedding day, guests could join in various activities so that it actually feels like we’ve taken the entire wedding party back in time. To me, it’s all about the experience. Ellen: Budget! If you don’t have the most creative abilities or contacts that do and are willing to help you for free, budget really impacts on making a big wow. Nicola: Client co-operation and expectation along with the help of the venue. Do you find that marquees offer more scope for creativity than existing buildings? Julie: While it’s true that, to a point, you can build a space to suit the requirements of the theme, and even have multiple marquees connecting to one another—if you have the space—I do find that marquees can sometimes be more limiting than existing buildings. Ellen: Not necessarily. However, they are good blank canvases—pardon the pun—so you can add more to them without anything clashing—for example, a coloured carpet or a piece of wallpaper that doesn’t match. That said, couples are rightly very choosy about their venues or marquees and I think that’s purely to do with them visualising whether their ideas will work in the spaces or not. Nicola: Yes, they allow much more diversification and give more space than often a venue can provide. Are there any themes that you have particularly enjoyed creating? Julie: I’ve enjoyed them all! I love having the opportunity to use my imagination, creativity and organisation skills to create incredible, once-in-a-lifetime experiences for my clients and their guests. It’s like asking to choose your favourite child—I just can’t do it! Ellen: Is it wrong to talk about my own day? I had a big festival theme, which had a nod to a Latino/Mexican style. I would have gone full-on Day of the Dead if my husband would have let me but I was reined in. Other than that, I really admire couples who have handmade elements to make their day. Nicola: I’ve enjoyed all the weddings I’ve planned—no two weddings are the same! In contrast, have you found any themes particularly difficult? Julie: Not yet. I think all themes have their challenges but that’s part of the fun! Figuring out how to make a concept come to life is half the battle. After that, it’s just a matter of ensuring that the vision is realised within budget. Ellen: I don’t overly theme weddings unless the couple really want to and those bookings usually have the means to make it work brilliantly. If a client wanted a themed wedding, where would you recommend they start? Julie: First and foremost, I’d recommend that everyone begins with an honest idea of their budget. By envisioning the grandest, most amazing event possible—which realistically would cost millions when you’ve actually only got about £25k to spend—you’re just setting yourself up for a real let-down. That’s not the kind of experience I ever want to offer my clients—even in the early planning stages. I aim to manage expectations realistically. So, once I’ve been given an idea of the budget, I always begin the planning process with a conversation where I learn about my clients… their hobbies, favourite pastimes, dreams, etc. During this initial conversation, I’ll try to get a good idea about what the most important wow-factors are to my clients. Is it the dress? The environment? The cake? The venue or location? The lighting? Is it the flowers or the entertainment? Is it the first impression they and/or their guests experience, or is it the lasting impression the entire event leaves on all of the attendees and the photo album? Next, I create and put forward a concept design—normally around a particular theme—that I think suits the couple best in terms of their own passions, interests and priorities. Regardless of whether we’re talking about a wedding, an anniversary or a birthday, it’s always of utmost importance that the budget is used as effectively as possible to create the ideal experience. Ellen: Having a meeting with me to get the creative ideas flowing… it depends where they are at with the planning stages. If they’ve picked their venue ahead of working with me, I’ll need to see the space to know what will work or not. Marquees are easier to work with as a blank space so in those instances I just need to know the layout. Nicola: By writing down a list of what they want and also having a good knowledge of their budget. That’s the most important thing—linking their own expectations to what money they have to play with. Do you have any advice/tips for anyone wanting a themed wedding? Julie: If you’re going to have a theme, dive into it and go all out. That is what will make the theme an experience to remember. Simply having little objects around that nod to a theme are cute, but they’re not wow-inducing. If you want your wedding—and its theme—to produce a few wows, you’ve got to pull out all the stops and really go for it! Ellen: Don’t go overboard on a theme unless you have a big budget to bring in some real wow elements and a planner that can help you do that. It’s far better to work with handmade and personal touches or a colour scheme that ties the space together—especially against a white marquee backdrop. You can really go to town on florals in your favourite colour in a marquee and it will look amazing. Nicola: Yes—hire a planner like me!